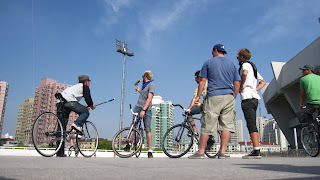 shanghai bike polo: photos courtesy of rebecca! keep those photos coming !! here are some courtesy of friend and new bike-polo enthusiast rebecca conklin. they are super super super sweet !! enjoy !! gathering to clarify a few rules! 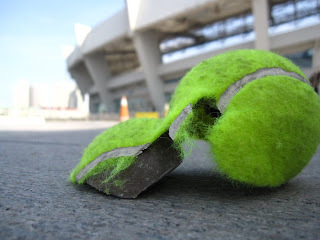 so we couldn't get our hands on a hard plastic road ball . . we settled for hard tennis balls : but some of them didn't last too long! what a amazing game !!! i hope nexi time will be more numbers to join us !! !